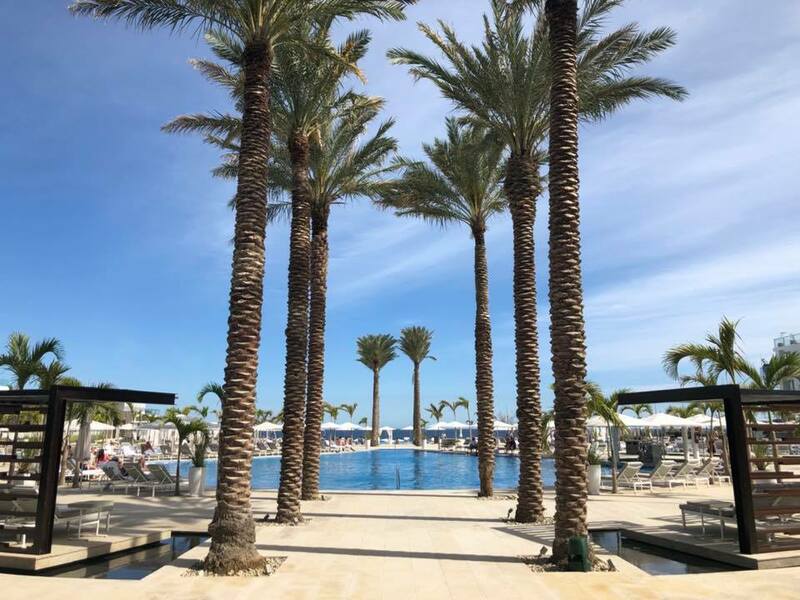 Last week I had the opportunity to celebrate the grand opening of Le Blanc Spa Resort Los Cabos. The newest Palace Resorts hotel is absolutely breathtaking, with gorgeous views and stunning decor. 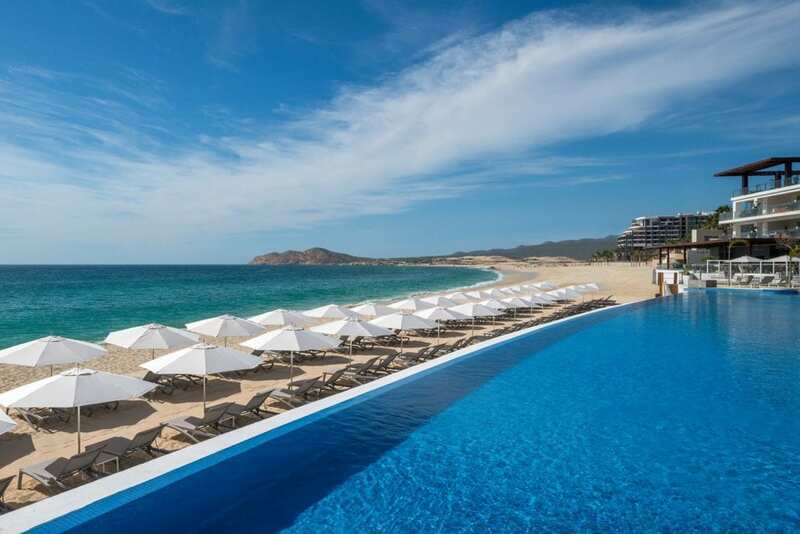 Below I highlight my top 5 favorite things about this luxurious adults-only resort in Los Cabos. 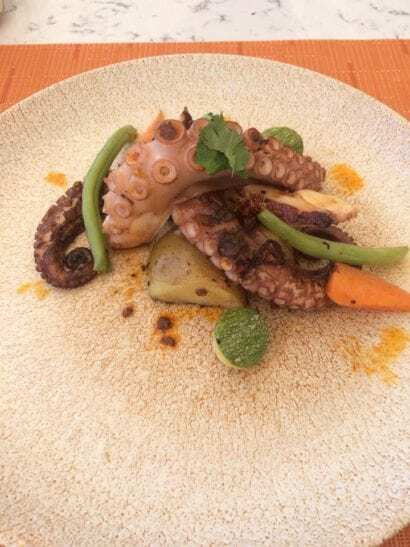 The best part about the food at Le Blanc Los Cabos is how fresh it is. On top of that, it is incredibly delicious! I loved that you could order snacks directly to you at the pool or beach, including the entire menu from the pizza restaurant and from the seafood restaurant, Le Blanc Ocean. In the morning, order the eggs benedict at this beachside cafe, and snack on the tuna ceviche poolside for an afternoon snack. Does anyone else turn into a bit of a snob after four days at an all-inclusive resort?! You can be super high-maintenance with the butler service at Le Blanc. For instance, on my first night I got in right around dinner time. I was starving, but I wasn’t familiar with the dining options yet. Our butler quickly rounded up menus from every single restaurant that was open for dinner and delivered them to my door in about thirty minutes! Have I mentioned you can order snacks to the pool?! The staff at the pool bar is extremely accommodating! They were attentive, and even suggested a few things that I ended up loving (like the jalapeno margaritas and the buffalo mozzarella pizza). The view is incredible from every angle, and there were always plenty of open chairs, whether we wanted to sit under a cabana, in the sun, or in the shallow area at the edge of the pool. I would say we spent about 75% of our time here! 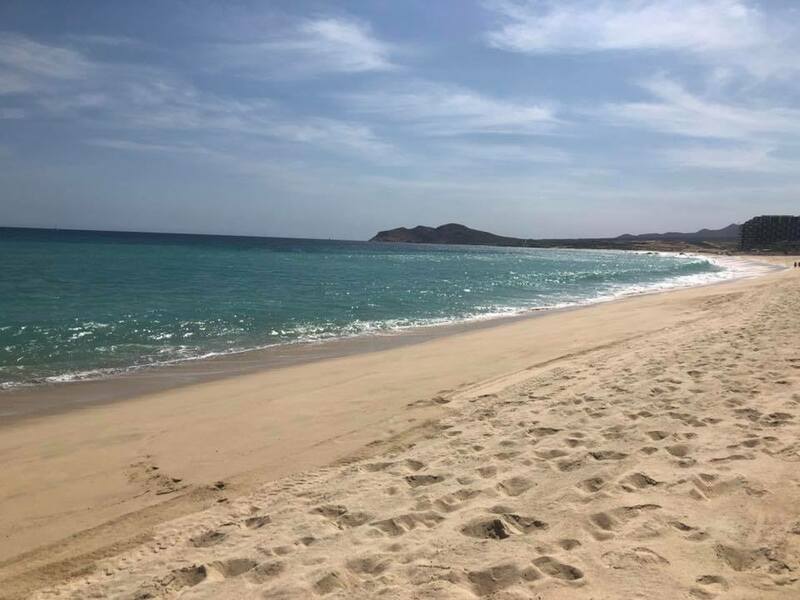 The beach was perfect – long, wide, and flat, with soft sand and tons of privacy. 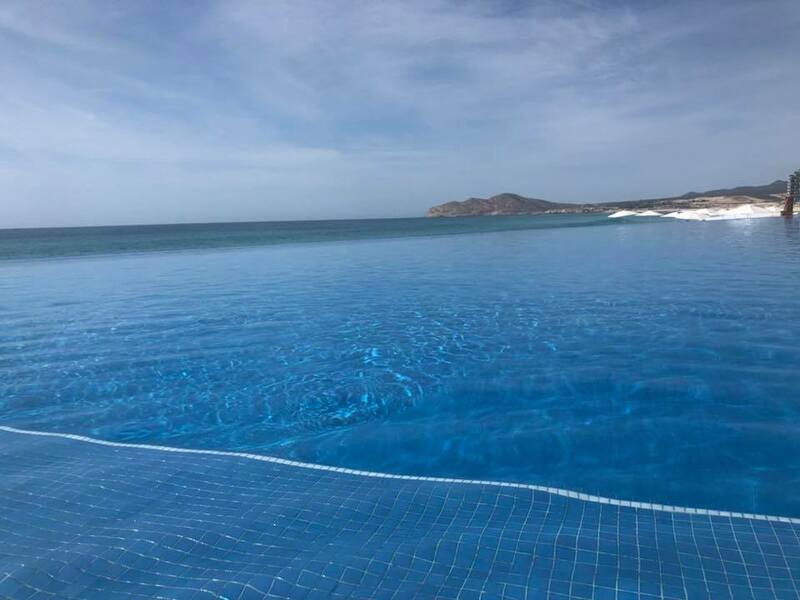 Since the Le Blanc Los Cabos is surrounded by other boutique hotels and condos, it is seemingly deserted and feels like your own private beach. The staff is very attentive here as well, and yep – you guessed it! You can order snacks, drinks, and menu items from select restaurants directly to the beach! Call us at 402-281-3022 in order to book your own trip to Le Blanc.